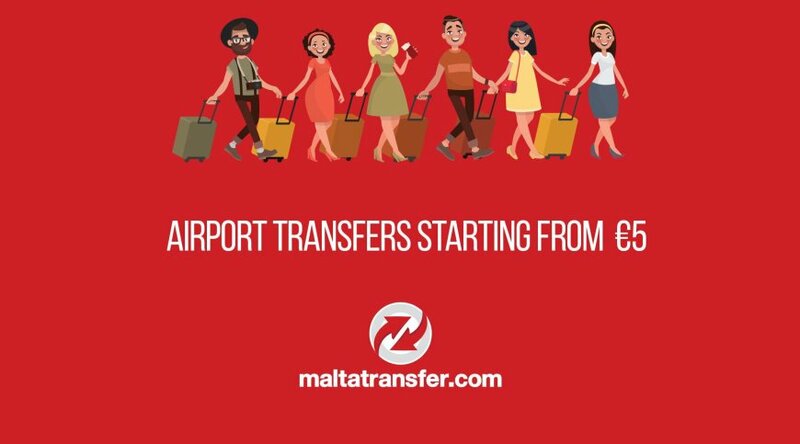 Passengers and their property are carried on Maltatransfer.com services subject to the following terms and conditions, which shall apply to each ticket issued by Maltatransfer.com and each contract to carry any person entered into by Maltatransfer.com. Maltatransfer.com enters into a contract with the passenger upon the following terms and conditions set out for and on behalf of itself, its employees, agents and subcontractors. It is entirely within the discretion of Maltatransfer.com as to who operates Maltatransfer.com services. Any person who travels on a Maltatransfer.com service shall be considered to have agreed to be carried on these Terms and Conditions. 1. In these Standard Conditions of Carriage, the following words shall have the following meanings:- “agents” means persons who have been specifically authorised to act on the Company’s behalf; “airport” means Malta International Airport; "airport stop" means the stop just outside the arrivals terminal at Malta International Airport; “arrival” means the trip between Malta International Airport and any hotel located in Malta; “child” or “children” means persons under fourteen (14) years of age; “Company” means Maltatransfer.com Limited “departure” means the trip between any hotel located in Malta and Malta International Airport; "journey" means each journey you are entitled to make on a service as set out in your ticket; "luggage" means any property, which you bring onto a vehicle or into a station, including any property, carried on your person; "service" means any journey to be provided or arranged by us or on our behalf for the purpose of carrying persons and their property, which is set out in a timetable published by us; "Special Conditions" means any additional or special condition relating to a particular ticket or the method of delivery of a ticket (including any restrictions as to the services, dates, days of the week, and times in the day on which travel is permitted and conditions to advance reservations of seats) as set out in any notices, offers or publications from us; “stop” means any stop where a service is to be commenced or completed; "ticket" means any ticket issued by us or on our behalf, which sets out our agreement to carry or arrange for the carriage of any person, including the services on which travel is permitted and the fare payable; "vehicle" means the coach, bus, taxi or other road vehicle or other means of transport provided by us, or any other carrier on which you are travelling; "we", "us" and "our" refers to Maltatransfer.com Limited a company registered in Malta with registered number C45461, whose registered office is at “Koptaco Buildings”, Sliema Road, Gzira GZR1635, MALTA; "working day" means a day other than a public holiday, Saturday or Sunday on which the banks in Malta are open to the public for the transaction of business; "you" means the person who we have agreed to carry or arranged to be carried, being the person who purchased a ticket or for whom a ticket was purchased, or any person who travels on a service with or without a ticket. 2. In this Agreement, a reference to the singular shall include the plural and vice versa, while a reference to the masculine gender shall include also the feminine and vice versa. 1. You must check your ticket and change at the time it is issued When you buy a ticket, you should make sure that it is valid for the journey you want to make and that you have received the correct change, if applicable 2. You must arrive on time to board the vehicle You must be at the boarding point at least 10 minutes prior to the departure time of the vehicle to ensure travel on the specified service. Failure to do so may result in reserved seats being allocated to other passengers. No responsibility for any loss can be accepted in such circumstances. 3. You must make sure you are on the correct vehicle and that you get off at the right stop You are responsible for making sure that you join the correct vehicle and that you get off at the right stop as announced by the driver. 4. Inspection of tickets You must show and, when required, hand over for inspection, a valid ticket and/or personal identification documents at the request of the staff of the Company or its agent. 5. Making time for connections You must allow ample time for your journey to arrive in time to connect with other forms of transport provided by other carriers. In particular you should plan to arrive at the Airport at least two hours before your flight check-in time and at least one hour before departure time. Please note that it is ultimately your responsibility to verify that the flight departure time indicated on the ticket tallies with the actual departure time. You shall also be responsible to notify the Company of any change in your flight schedule. The Company does not accept responsibility for any delays caused by circumstances beyond our control. 6. Responsible behaviour You shall behave in a reasonable, sensible and lawful manner on a vehicle and at any station or stop. In particular, you are not permitted to: · smoke in or on any part of a vehicle operated by the Company · bring on to the Company’s vehicles or have in your possession when on them, intoxicating liquor for the purpose of consuming the same · consume intoxicating liquor on the Company’s vehicles · enter or remain upon the Company’s vehicles having consumed intoxicating liquor or when drunk · bring on to the Company’s vehicles or have in their possession when on them any medicinal products other than for medicinal purposes and always in accordance with Maltese laws and regulations · remain on a vehicle when directed to leave by the driver or other Company official on the grounds that he or she is causing a nuisance. In the event that you fail to abide by this clause or in the event that we have reason to believe you may continue any conduct in breach of this clause, we shall be entitled to restrain you, remove you from the vehicle or station, refuse you further carriage, cancel your ticket without refund, and take any other measures as we consider necessary to prevent continuation of such conduct, without you being entitled to any refund or compensation whatsoever. 1. It is the Company’s responsibility to carry the passengers, with the minimum discomfort and inconvenience to the destination shown on the ticket. However sometimes, due to circumstances beyond the Company’s control, our services may be disrupted or cancelled. 2. The Company shall not be in breach of its obligations to carry the passengers if a service is cancelled due to circumstances beyond its reasonable control, which shall be deemed to include, but not be limited to exceptional severe weather conditions, accidents causing delays on the vehicle service route, fire and/or damage at a station, compliance with requests of the police, deaths and accidents on the road, vandalism and terrorism and acts of God. 3. In the event of any failure by the Company to fulfil its obligations due to a circumstance beyond its reasonable control, the passenger shall be entitled to a refund of their ticket price but the Company shall have no additional liability beyond this. 4. If the Company fails to carry the passenger to his destination as shown on his ticket for any reason not otherwise excluded pursuant to these Terms and Conditions (for instance, and in particular due to a mechanical breakdown of the vehicle), the Company shall, at its own expense, arrange or provide alternative transport, such as another coach, private car, taxi etc to complete the journey as soon as reasonably practical having regard to the circumstances and provided that the Company does so within a reasonable time, it shall have no other liability as a result of any delay in performing its obligations. 5. Notwithstanding anything to the contrary contained in these terms, the Company’s liability for any failure on its part to carry the passenger to the destination shown on the ticket shall be limited to reimbursing the passenger for the reasonable cost of alternative travel to such destination by coach, private car or taxi (or any combination of them) and the passenger shall be reimbursed on presentation to the Company’s office of the appropriate receipt or other voucher for the cost of such travel. In particular, but without prejudice to the above, the Company shall have no liability for any consequential losses of the passenger as a result of failure by the Company to fulfil its obligations. 1. Animals, other than guide dogs accompanying registered blind persons and hearing dogs accompanying deaf persons, will not normally be carried on the Company’s services. 2. A ticket must be obtained for any animal (except guide dogs accompanying registered blind persons and hearing dogs accompanying deaf persons) at a charge of € 10 Single. These tickets can only be purchased from the driver on board the vehicle. If an animal is taken on board without the driver’s permission the passenger may be required to remove it. The passenger accompanying any animal in the vehicle will be solely responsible for the animal and will indemnify the Company against all liability arising out of the carriage of the animal on the Company''s vehicle or out of the animal''s presence on the vehicle and the Company will not be liable for any loss or injury to the animal whether caused by negligence of the Company, it''s servants or agents or otherwise. 1. Except as provided in these terms, the Company will not be held liable for any loss howsoever arising or caused as a result of any delay to such services or by the same not operating in accordance with their published timings. 2. The Company reserves the right to alter its timetables or suspend, cancel or withdraw services or departures or other facilities without notice, whether before or after a passenger has booked accommodation on the same. 3. The right is reserved to provide carriage between the points stated on the ticket issued to the passenger by means other than the vehicles scheduled to run on the journeys to which the ticket relates. 4. Any ticket sold or arrangement entered into on behalf of the passenger is on the condition that the laws of Malta shall apply to the contract arising and to the determination of the rights and liabilities of the respective parties and that no action or other proceedings shall be brought by either party in relation to the contract or for damages independent of such contract except in the Malta Centre for Arbitration. 5. If any term or article or part thereof in these Terms and Conditions is found by a competent judicial authority to be illegal or unenforceable in any respect, the validity of the remainder of these Terms and Conditions will be unaffected. 6. These Terms and Conditions may not be waived or altered under no circumstances, unless in writing and with the consent of the Company.